Resource Environmental Associates Limited (REA) is a professional engineering and consulting firm practising exclusively in the areas of occupational health and safety, and environmental protection. Since 1997, REA has run an annual program of scheduled occupational health and safety training courses for workers and managers. Our courses have been created over years of consulting experience to provide first-hand knowledge on the specialized topics. REA provides professional engineering services to ensure compliance with health and safety laws, codes and standards for facilities, processes, and equipment. We provide design advice for workplace protection, EHS design compliance reviews, verification inspections, training and implementation support across a broad range of sectors. We have completed thousands of projects for thousands of clients throughout North America. REA has a quarter century of experience helping organizations effectively manage environmental health and safety legal obligations and achieve superior business outcomes. Our consultant team combines a unique blend of multi-disciplinary qualifications and experience in EHS, information systems and technology, policy, management and evaluation. We offer complete solutions to organizational EHS management needs, and are conversant in all major domestic and international EHS/OHS management system standards. REA pioneered professional construction and project safety management methods and site support services. 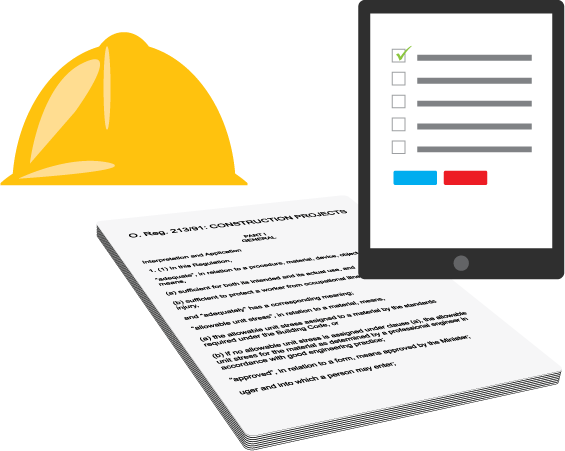 We have completed over 2,000 construction and project safety management assignments for clients across a range of sectors, including large national retailers, municipalities, construction and maintenance companies, hospitals, energy providers / distributors, manufacturers, government departments and agencies. We develop construction safety management process manuals for owners and contractors, deliver training in project safety management and construction safety practices, provide full-time on-site construction safety supervisors, carry out health and safety pre-qualification reviews of contractors, deliver safety orientation training, and render assistance in response to incidents and government orders. Occupational Hygiene and Environmental Health. REA is a full service provider of occupational hygiene and environmental consulting. We have completed thousands of assignments in virtually every industry. We are the preferred occupational hygiene services provider for hundreds of leading private corporations and government organizations. "The science and art devoted to the anticipation, recognition, evaluation, prevention, and control of those environmental factors or stresses arising in or from the workplace which may cause sickness, impaired health and well being, or significant discomfort among workers or among citizens of the community." REA provides a variety of occupational health program and medical services for employee and employer protection. REA provides ergonomics consulting services for office and industrial workplaces. We help clients prevent injuries, improve efficiency, optimize space, and enhance employee comfort, job satisfaction and morale.